Yeah, I’m a believer. I believe that Art is cool, but I’m not an artist. 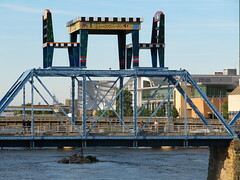 I’m a Michigan Citizen from a great town called Grand Rapids, The “Furniture City”. Starting on Wednesday September 23 2009 there will be a new competition called ArtPrize in town and I am loving the buzz and activity it is creating. I recently asked for help in Drafting up some example Social Media Policy and Strategy Documents, I have had a number of responses both on twitter and offline. Thanks for the Love John. I’ve heard some Social Media Gurus/Experts refer to LinkedIn as dead, or at a minimum the refer to it as not being social media. I have disagreed with this for a while but never really spoke up.